If you have remained on this website this far, perhaps your interest is piqued and you have questions. Here are some typical questions and answers. What does it cost for you to restore my vintage Steinway & Sons grand? My services cost between 70 and 80 percent of current replacement. As an example, as of this writing, a new Steinway & Sons 6’ 2" model A-2 in mahogany veneer carries a suggested retail price of $79,800. No two rebuilding jobs are identical, but my price to restore a vintage model A-2, originally produced in Steinway’s New York facility from 1898 to 1913, is in the neighborhood of $55,000. There are no hidden or additional costs once my client and I have signed an agreement. Lesser costs from other sources will decidedly result in lesser work, both in scope and experience, with potentially disappointing results. I have witnessed shameful work over my career, some emanating from the most exalted firms, performed at substantial expense. The manufacturer took no shortcuts 100 years ago when these fine instruments were constructed, and he charged appropriately for his product. The mere passage of time should not dictate any alternate course for these worthy restoration candidates. This sample figure looks higher than others I am fielding for presumably the same work to my piano. Why is this? Im asked this question often. Rebuilding a piano is a monumental undertaking. The Sample Rebuilding Contract presented on this website highlights only the largest of phases involved. There are dozens of smaller procedures too numerous to mention on this document. As one example, I refinish the action cavity the keyboard rests in. Though out of the piano owners view, this measure restores the original factory appearance of this space and makes it as bright and cheerful a spot as can be for future service professionals to work in. In-home service technicians produce quality work when offered ideal working conditions. Further, I place a dated and signed information card in this cavity informing technicians exactly how the keyboard touchweight was set up to assist in their duties. I know of no other piano rebuilders who go to these lengths. My position is that the instrument should look and perform exactly as it did the day it left the factory, when utmost worker pride and thoroughness of craftsmanship were perfunctory daily objectives. Details require time; time adds cost. I offer a written five-year guarantee on materials and workmanship. See the Five Year Guarantee located on this website. 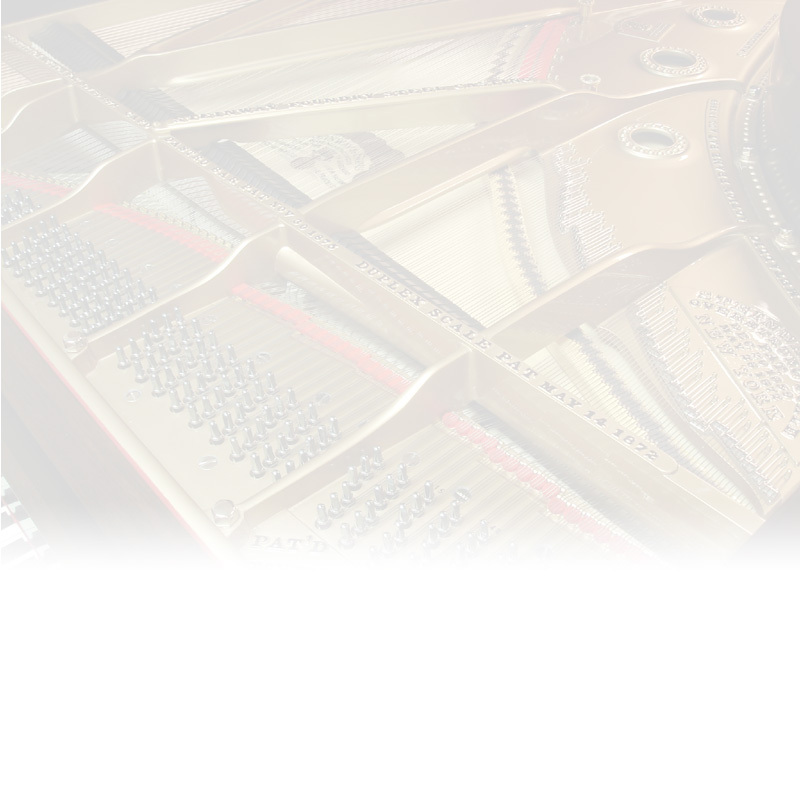 Does your price include moving my piano to and from your shop? Can you provide me a piano to use while mine is being restored? Yes, see the Sample Rebuilding Contract located on this website. The loaner piano is free; its moving is the customers responsibility. How long will the restoration of my piano take? My default answer is nine months, the amount of time to build the piano the first time. How long will I have to wait for you to commence the job? My backlog varies, attributable primarily to our nation’s economy. Current waiting time is about 4 months. How long should I expect your work to last? These fine instruments have lasted up to eighty years and in many instances are still playable. I feel it reasonable that my thorough work will perform likewise, though neither my clients nor I will likely be present to confirm this projection.